Book Burj-Khalifa: At-The-Top Entry Tickets at L124 & L125 in advance now online and save on buying the more expensive direct-access tickets on site. 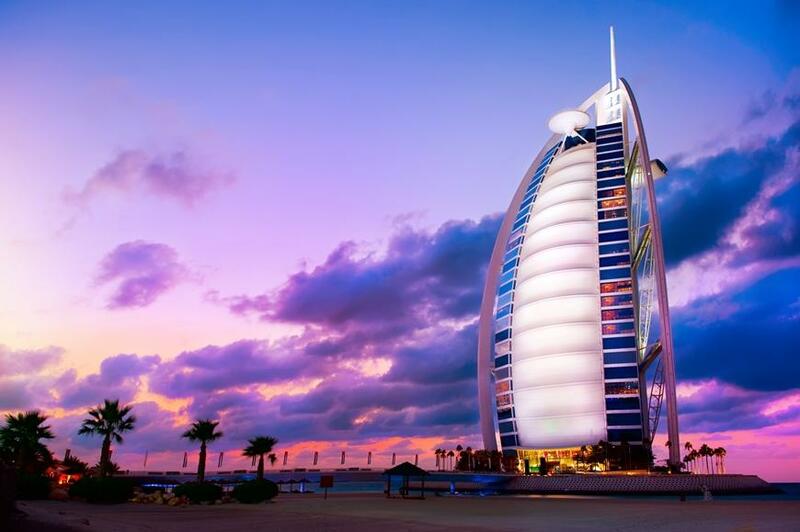 • Avoid long waits at the entrance to "At The Top"
A visit to the world's tallest building is a must for first-time visitors of Dubai from around the world. With a total height of 828 m and 189 floors of the Burj Khalifa is the tallest building in the world and is also one of the most visited attractions in Dubai. See more Ascend to the 124th floor at a speed of 10 meters per second in about 56 seconds. In 452 meters above sea level, there is a viewing platform from which you will enjoy a fantastic 360 ° panoramic view over Dubai. Marvel at the city with all its unique buildings and the artificiallyconstructed island - Palm Jumeirah. At night, the view of the radiant buildings and the twinkling stars in the sky is a another special experience. Another highlight is the Dubai Mall. It is one of the largest shopping malls in the world and in addition to its shops and restaurants, it offers a range of attractions that lure visitors from around the world. The main attraction of the Dubai Mall is the Dubai Mall Aquarium. It stretches out over several floors and its approximately 10 million liters of water is home to around 33,000 sea dwellers and 85 different species. One of the most special features of the aquarium is the lighting system that simulates a day and night rhythm, so that the fish can thrive in the best possible conditions. Right next door, you can find the Burj Khalifa Lake, in which the largest water fountain in the world is currently located. Along a length of 275 meters, 1,000 water fountains are shot up to an altitude of 150 meters. At the same time, they are illuminated by more than 6,600 lights and 50 color projectors. Accompanied by the rhytms of oriental and modern music, it almost appears as if the fountains dance on the water. An impressive spectacle, that no visitors should miss. The tickets are limited and are often sold out in advance for days, in high season even for weeks - often tourists are left with the only option of buying expensive instant access tickets at the destination. Buy your ticket with us ahead of time and save yourself these costs. • Please note: You will receive a second confirmation email with an Order No., which you have to present printed out at the Burj Khalifa -At The Top- Counter in Dubai Mall. Should the booking be up to 21 days in advance, you will receive this confirmation email within 3 days. If the booking is further ahead in time, you will receive your booking confirmation around 21 days in advance. • Please state the correct name of the participant when booking. 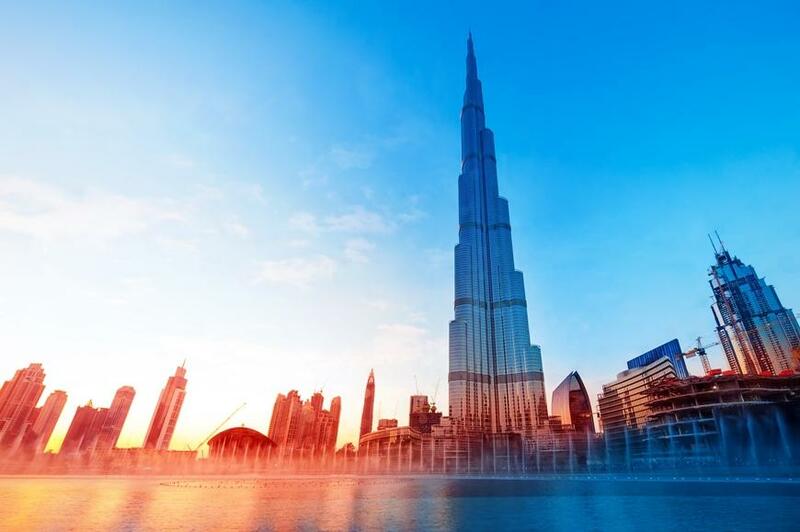 • Please arrive around 30 minutes before the booked time with the printed Email confirmation at the Burj Khalifa -At The Top- Counter, as queues at the elevator frequently occur especially during high season. • Should we be able unable to secure a ticket for your desired time slot anymore, we will offer you an alternative. Should you not be available for the alternative date, we offer you a free cancellation. • Do not forget to bring a copy of your passport or identity card. • Selected dates and times are subject to availability. • Available Audio-guide languages: English, Arabic, French, Spanish, Mandarin, Japanese, Russian, German. • For children aged 8-12 years, there is special children's audio guide. Print your ticket in advance at Burj Khalifa -At The Top- Counter by any earlier visit you may do to the Dubai Shopping Mall. This way you can avoid possible queues at the ticket counters. This tour may be canceled up to 3 days before the start of the tour with free of charge. Unsere sehr kurzfristige Buchung hat Ramy möglich gemacht und gute Tipps für die Zeit in Dubai gegeben. Ich kann es sehr weiterempfehlen. Der Kontakt über WhatsApp klappte bestens.